As digital marketeers, our job is to increase our brand’s Facebook followers. But the mistake a lot of marketeers make is to cheat their way to achieving this by paying companies to do this through shortcuts. This is a bad, bad idea and a huge mistake. There’s only one method that you should use to properly grow your Facebook followers – organically. 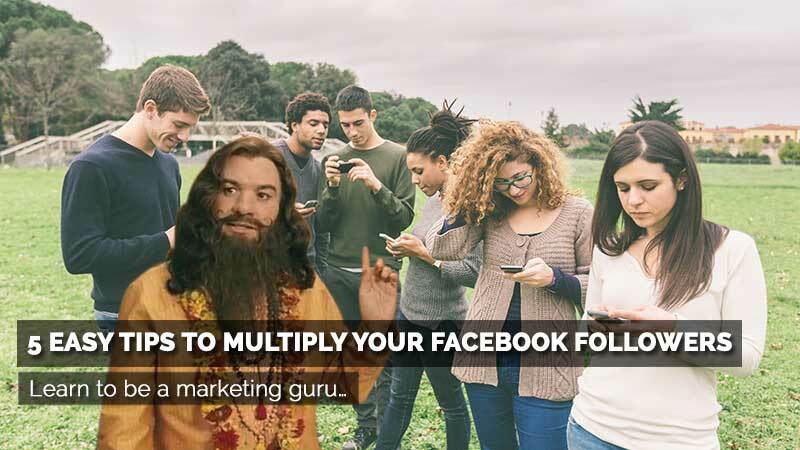 We’ll teach you 5 easy tips that you can use to multiply your Facebook followers, meaningfully, properly and organically! This may sound painfully obvious, but if you want more people to sign up as Facebook followers, you need to communicate that on your website. If all you do is place a Facebook icon at the bottom footer section of your home page, then of course you won’t be seeing many people follow your Facebook page! Make it clear to your website visitors that you want them to sign up as Facebook followers. Tell them that’s what you want them to do, give them compelling reasons to do so and show them samples of the great content that’s only available on Facebook. Include Facebook follow buttons not only in the footer but also above the fold. That’s the area before the user has to scroll down. Include a Call-to-Action to follow you on Facebook wherever you can meaningfully do so. A great place to do this is at the top and bottom of every blog article. Have a pop-up box asking people to follow you on Facebook. Remember, repetition helps to make messages stick, so make sure you keep asking for that Facebook follow. In every single EDM that you blast out, devote one para to ask for that Facebook follow. Note, I said one para, not one sentence. You should go beyond just saying “Follow us on Facebook now!”. That’s not going to reap you a lot of followers. To really get the results you want, you need to tell your audience why they should and MUST sign up as your Facebook follower! One great way to convince your email subscribers to follow you on Facebook is to include some Facebook content in your EDM. This will give them an idea of what they are missing out on if they don’t sign up. You can have a compendium of top Facebook posts that had the most likes, Facebook posts with the most shares and/or Facebook posts with the highest engagement. You can also talk about your Facebook contests and the winners of these contests. The idea here is to tease them with your best Facebook content. You don’t get something for nothing right? Beyond just asking them to sign up, give them a good incentive to sign up. Tell them what’s in it for them. You can have a sale that’s only available to Facebook followers. You can release a Facebook only promo code. Or you can let Facebook followers be the first to know about an upcoming flash sale. 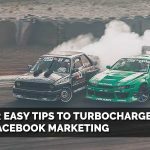 Other than convincing them that they NEED to become your Facebook followers, you can also put a nice, attention-grabbing button in your EDMs to help compel them to seal the deal. Give them a nice button to click on to make it super easy for them to sign up as your Facebook follower. 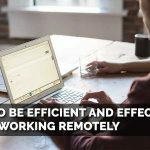 As you can see, all of these tips are easily actionable and easily implemented. Growing your Facebook followers isn’t so difficult that you need to resort to artificial means to boost your numbers. And that’s how you #LearnToBeAMarketingGuru! Need help to double your sales? Contact us and we will show you how we can help you to effectively use social media to increase sales!